What is the Tobago Hash Weekend? Every year since its inception in 1984, the Port of Spain Hash has travelled to our beautiful sister isle Tobago, for one weekend a year…for a fun get-together, hashing, partying and liming. It is now an “ALL-INCLUSIVE” type event and has ever been known as the ‘The Tobago Hash Weekend’. Is there a set time for the Tobago Hash Weekend? No there is not. It has usually happened within the month of late October, early November. What are the dates for this year (2014)? 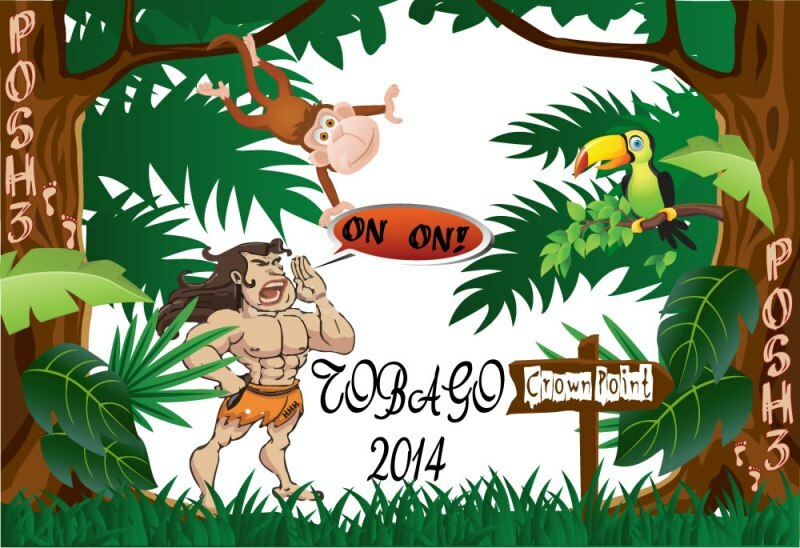 This year, the Tobago Hash Weekend will take place from October 23rd to 26th, at Crown Point, Tobago. What usually happens at the Tobago Hash Weekend? The weekend usually takes place on a normally scheduled hash weekend, where in addition to the typical hash on the Saturday, there is an added hash on the Friday previous, as well as a live run on the Sunday morning. 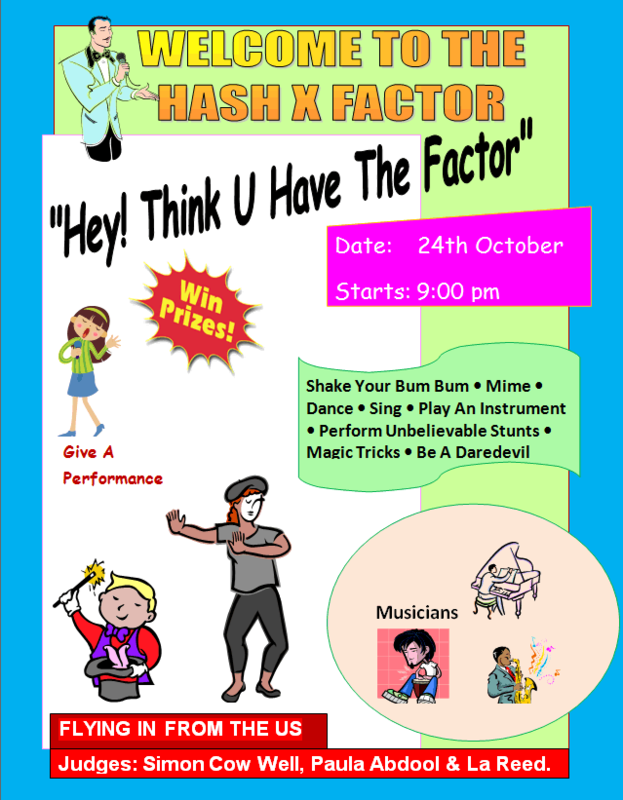 Since all hashers are gathered in one place, there are group activities planned such as themed parties, games, outings among others. If one chooses not to go to Tobago, will there be a hash in Trinidad that weekend? Typically yes. It would happen as an ad-hoc, hastily planned venture among some of the more senior hashers. This year we intend to have a themed party event in the form of a Toga Party. Toga parties are a standard tradition all over the hashing world. We will stage our own on the Saturday night (25th) of the weekend, where dress is mandatory Toga wear. What are the typical logistics for a weekend such as this? Would non-alcoholic drinks be provided? Yes, we intend, as best as possible, to to serve all package holders – mainly hashers (beer drinkers) and non-alcoholic. Please indicate this at the time of registration. What are the costs for the Tobago Hash Weekend? How do I register for the Tobago Hash Weekend? To register, at the hash see any committee member or contact directly Colin (868) 305-1053 or Marita (868) 685-3600. If I opt to seek my own accommodation, can I still come on-board the weekend package? Yes you can. The cost will be 950 per person for the package less accommodation at the Johnstons’ or Crown Point. Where can I get more info about the accommodation being provided? Can anyone come to the hash runs in Tobago without joining onto the package? Yes definitely – the hashes themselves are open and voluntary as usual. However, there will be no beer, meals or refreshments on sale at the hash in Tobago for persons not registered and part of the package. This applies also to the parties and events which are hosted at the Crown Point compound. With respect to the parties & events we host, the POSH3 and its registered guests bear all shared costs of logistics involved in order that we have a joyful and memorable time. This includes tents, music, chairs, lighting, etc. As an un-registered guest, we ask that you kindly bear this in mind. I am unable to make it for one or two of the days of the Hash Weekend…does my cost change because of this? No it does not change. This is because of our arrangement with the hotels, in booking the rooms at a particular rate for the period. We are unable to make alterations based on your ability to partake or not in the entire weekend’s activities. Your best bet would be to seek alternative accommodation, and buy into the package less accommodation for TTD950 per person. A Weekend of Run, Fun, Sun & Party based at beautiful Crown Point.